From farmers and clergymen to civil engineers, musicians and the police - more than 10,000 people have participated in the British Gas Great Swim series this year. 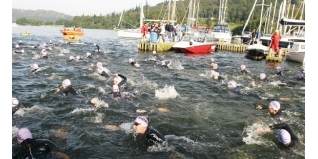 Participants in London, Strathclyde, Windermere and Ipswich have taken the plunge and swum one mile in open water, proving that outdoor swimming is more popular than ever before. Innovative swim brand Aqua Sphere is proud to be the Official Swim Kit Partner to The Great Swim and is delighted to share a key role in its success. Speaking about the events as a whole, Colin Hill, Event director commented: “Our vision for Great Swim was to inspire people from all backgrounds and abilities into trying outdoor swimming for the first time as well as having the world’s best competing in the same event. Whatever the reasons for taking part, the bottom line is all about inspiration and enjoyment”. And inspire people it did. From Julian Crabtree who successfully completed every wave in all four Great Swim events, swimming a total of 43 miles which is the equivalent of swimming the Channel and back, to a deaf-blind swimmer, and a swimmer who spent 9 months in a coma, and even an 86 year old entrant! Speaking about 2010, Hill said “ We are already excited about the prospect of next year’s events and, building on the successes of 2009 we are talking about adding a fifth swim to the series. This is the second year that Aqua Sphere has supported us and we really value the brand's foresight and commitment to helping people enjoy outdoor swimming. Aqua Sphere's outstanding quality goggles and wet suits have been essential kit for many participants. We value quality relationships and we look forward to continuing this partnership in 2010”. Highly regarded for its outstanding goggles which deliver panoramic wide-angle 180-degree vision, comfort and fit, Aqua Sphere’s revolutionary Seal XP, Vista, Kaiman and Kayenne goggles deliver a comfortable, leak-resistant seal for surely the most comfortable swimming experience possible. Keeping water out and eyes safe, Aqua Sphere’s patented 100% UVA/UVB lenses offer unparalleled wrap-around vision and the new and highly innovative Quick-Fit™ one-touch buckle enables swimmers to fine-tune their fit even whilst they swim, focusing on their swim instead of fidgeting with their eyewear. 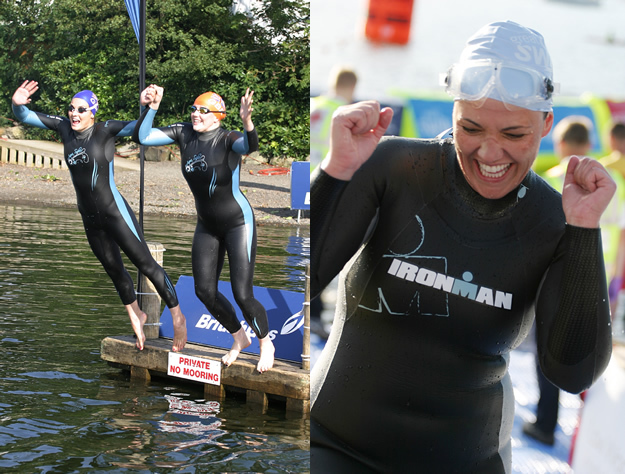 In February the brand launched a series of 'Ironman - Powered by Aqua Sphere' wet suits offering superb performance for all levels of swimmers and triathletes. Prices are competitive and the wet suits offer superb flexibility, durability and warmth to help swimmers attain greater enjoyment from outdoor swimming.